Shopping for jewelries can be a hit or miss affair especially if you don’t know where, when, and how to shop. Oftentimes, there are instances when you could have saved hundreds of dollars if only you have searched for a couple of more minutes. To avoid overspending on your next purchase, read along and discover money-saving tips when shopping for sterling silver jewelry. Jewelries have the magic of making us pull out our wallets and credit cards at the wrong time. This means you should have a strong will to pause when shopping for such items. Do not settle for one store. Always give yourself enough time to scout and look around for better deals. You can also check discounts, especially if you’re planning to purchase in bulk. This way, you can get the most of your cash without too much fuss. One of the greatest ways to save up with silver jewelries would be to opt for interchangeable pieces. Instead of buying tons of silver necklaces for example, you can opt for one that has multiple pendants. This way, you can easily change the pendant, depending on the looks you want to achieve. This is also a great answer to those old pendants in your jewelry box. This may sound like a simple tip, but it’s one of the most effective ways of getting a bargain. Waiting for sales often allows you to save hundreds of dollars on regular items. There are tons of jewelry shops out there that hold sales during special occasions, holidays and anniversaries. This is the perfect time to scout for silver jewelries. Each accessory has its own style, but there are also some pieces that can match any attire. Whether that’s corporate or formal wear, some jewelry pieces are so flexible for many outfits. It’s quite wise to opt for simple silver accessories. Cuffs and chokers are two pieces that will be hard to match for everyday use for example. Of course, quality plays a great role when it comes saving. Be sure to purchase only jewelries of the best quality. This will spare you from buying new ones over and over again. It’s always better to spend a lot on high quality accessories than opt for the cheap but low quality ones. 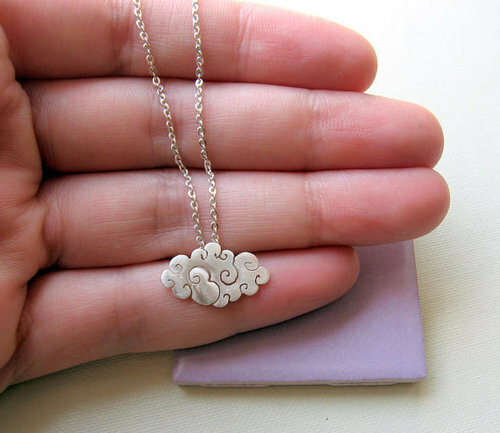 It’s also advisable to go for sterling silver pieces, rather than buy any other type of silver accessory. Buying jewelries on malls can be very expensive. Checking online is simple way of letting your fingers do the shopping. There are tons of online stores that offer genuine items at a more affordable price. If you’re not comfortable with the essence of online shopping, you can always look for reviews instead. This way, you can determine what shops sell better silver jewelries. Buying charms and trinkets are always essential for every woman. However, not all types of jewelries are affordable. On that note, it’s wise to have handy tips like this to guide you along the way. Learn these tips by heart and steer away from spending a lot.